If your organisation relies on contracted out services (and how many organisations these days don’t rely on them? ), then you are at risk of those contracts not being well managed. There have been many high profile business collapses and public sector contract fails to evidence this. More positively, best in class contract management can give you a competitive advantage and a route to building mutually beneficial supplier and customer relationships. An effective contract management system has become an essential element in running any successful organisation and the market for systems is growing rapidly meaning that the choice is getting bigger and bigger. You need to decide what contract management means to you. Contract management is a term that covers a wide range of activities. To some it means a tool to help draft a contract, to others it will mean contract negotiation and to many it will mean managing contract administration and performance after it has been awarded. Decide which elements you want to improve and choose a system that most closely matches those needs. Contract administration and performance is likely to be where the biggest return on investment can be found. and good programmers who can turn the requirements presented by experienced contract managers into an easy to use and yet highly effective tool. Not only should it be easy to use but it also needs to be easy to get up and running. You want to be getting the benefits almost immediately and you certainly don’t want to be incurring huge set up and training costs. Will the contract management system allow to upload information in bulk from existing data sitting in spreadsheets for example? Ask for an on-line demonstration to gauge how easy a system is to use and navigate around before taking the procurement process too much further. You may be tempted by the latest available technology promising the earth but does it work? Has the system been used out in the real world long enough to have the bugs identified and fixed? How easy or costly is it for the system to match your organisation’s growth plan? Can you start small and add new features and users as your organisation grows or you want to expand into different areas within the same organisation after the software has proved itself to be effective and reliable? Every business or organisation tends to operate differently and have different reporting requirements. Can the software be configured to meet your needs? For example can you control the grouping of contracts? Can you create your own data fields? Can you control when reminders are sent out and to whom they are sent? Obviously you need to focus on whether the software meets your needs above cost but don’t be tempted to think that the most expensive has to be the best. In the days of cloud based software there are excellent and effective systems that are affordable for all sizes of businesses and organisations. You shouldn’t need to commit to long term agreements either. Having said that when you have bedded in your contract management software why not consider negotiating a long term deal at a lower monthly price? Final Tip: The International Association of Commercial and Contract Management (iaccm.com) has a vendor neutral contract automation selection tool which exists to help you make these decisions and there is no payback to them from the vendors. 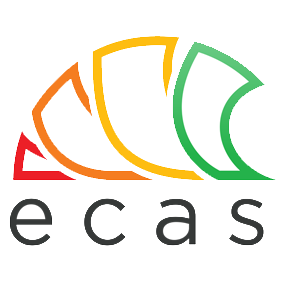 To find out more about our contract management software’s ECAS and ECMS and arrange a free trial, contact us today. Is there a difference between contract management software for a small business and a large multi-national business?